The Alborán HV is part of the new Galaxy HV Series™! 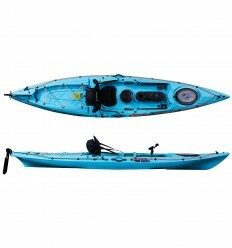 This fishing kayak comes fully equipped to land your next big catch. Part of new HV Series™! 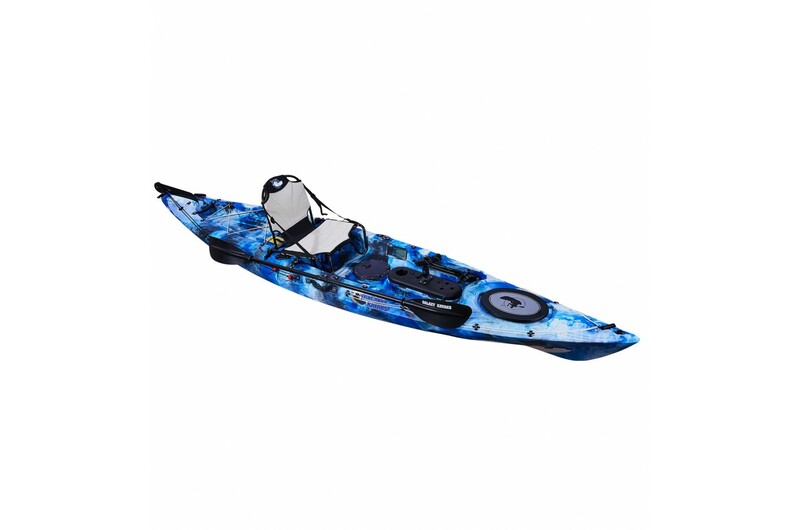 The Galaxy Alborán HV sit on top kayak has been designed for the dedicated fisherman amongst us and is capable of going further offshore thanks to its aerodynamic design and comfortable build. 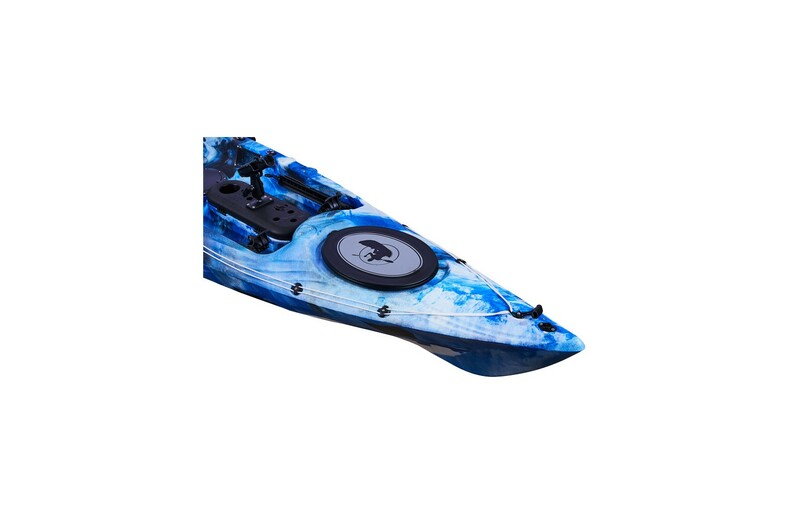 This model comes fully equipped to land your next big catch! 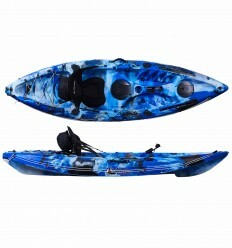 It is equally comfortable as a sea kayak or lake and river kayak. 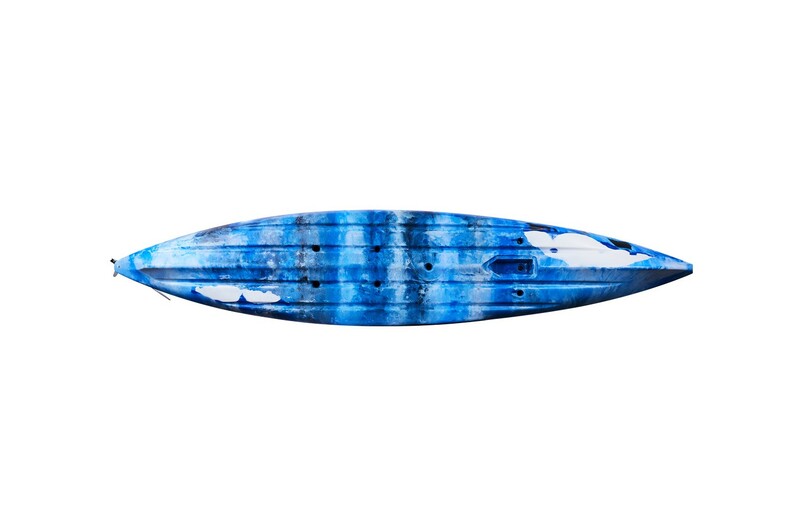 The Alborán HV measures 409cm in length, which allows it to glide through waves more easily and makes it suitable for a wide array of conditions. 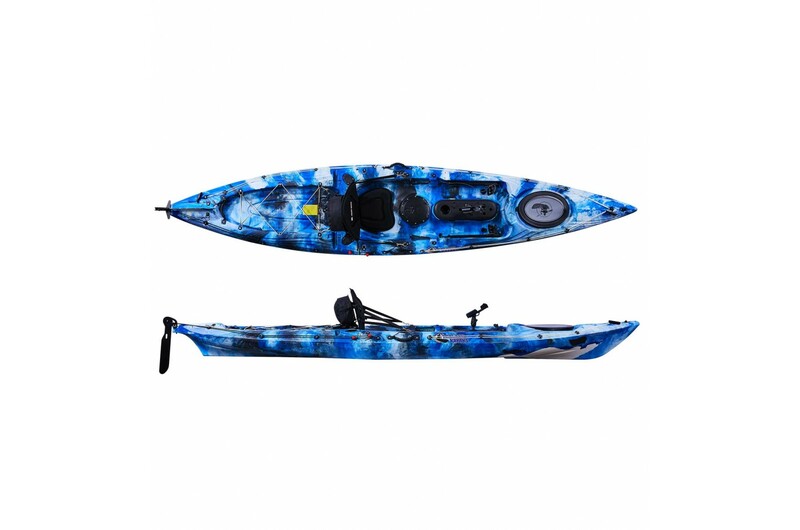 The kayak is also slightly wider and the angles of the hull have been designed flatter than other kayaks to maximise stability, a key quality for fishing. 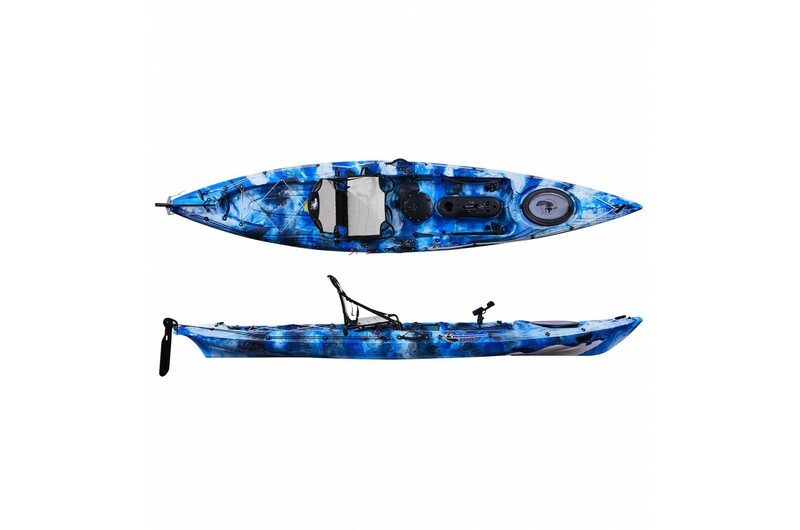 This version of this kayak comes with the option to add our Voyager high seat which makes long days out on the water much more comfortable. The Voyager seat comes in a nice beige colour and sits in the rear moulded anchorage which is normally used to place an outboard motor. 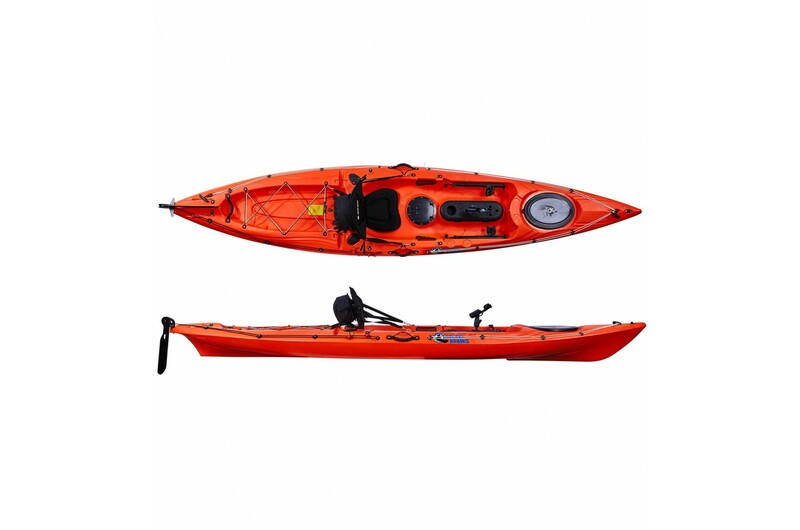 We’ve added extra D-rings to secure this seat down onto the kayak - one under the seat and two on either side for a nice and tight fit. The addition of this high seat brings extra comfort but it comes at the cost of blocking the rear flush mounted rod holders. However, this can be overcome by installing vertical starports available from Railblaza in the rear storage tank. 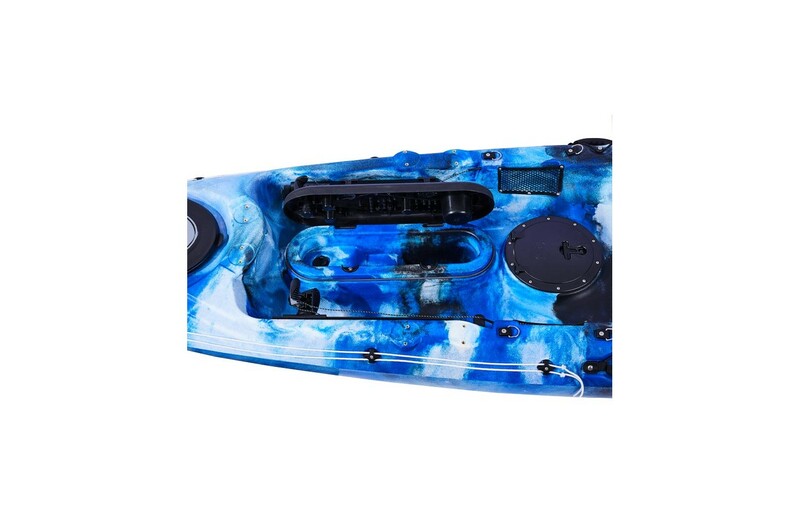 The Alborán HV kayak also comes with a transducer compartment found under the kayak and placed inside a scupper plug hole for hassle free transducer installations. 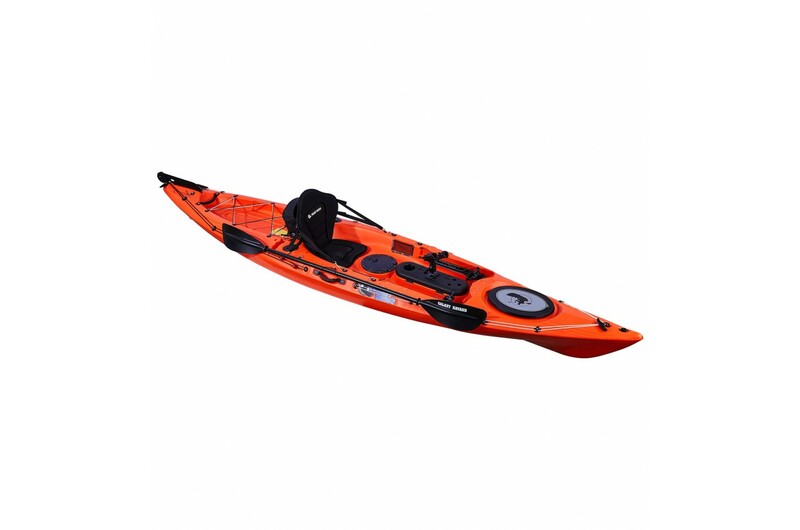 Although this is a longer kayak, the Alborán HV comes with a rudder and pedal system which helps manoeuvre the kayak with ease. 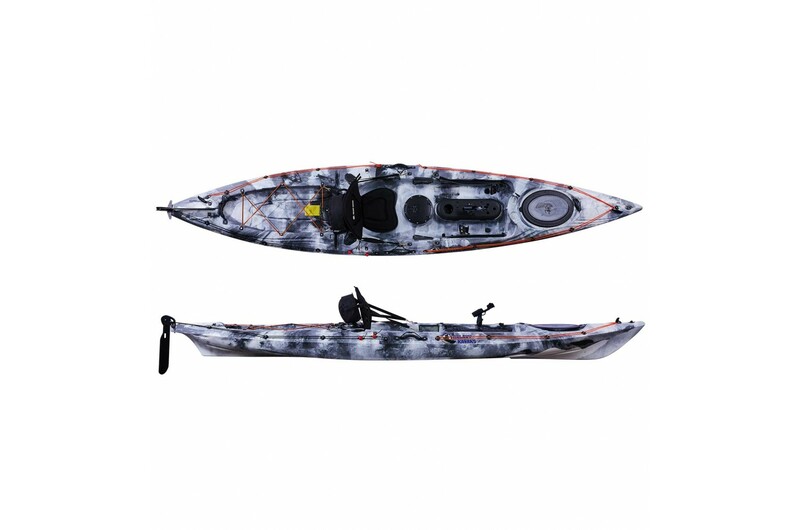 This kayak has been thought out so that every kayak fisherman can easily adapt their kayak to any fishing combination without ever drilling into the hull. 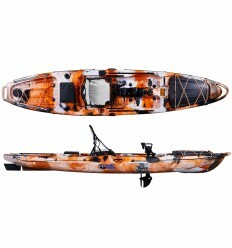 The newest Alborán HV kayak comes with eight copper inserts strategically placed around your kayak. 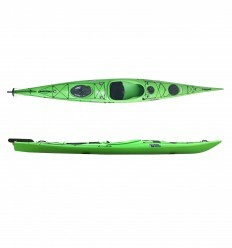 One at the front, one at the back, two on either side of the paddler and two directly in front of the paddler. 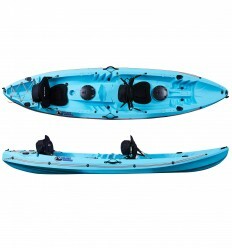 These inserts allow for easy and drill free installation of popular and even mandatory accessories (in certain regions), like the Railblaza Visibility Kit II or Flagwhip at the rear of the kayak, Cameraboom or Camera Mount in the front of the kayak, and up to three Tracports which fit perfectly in front and on either side of the kayak. 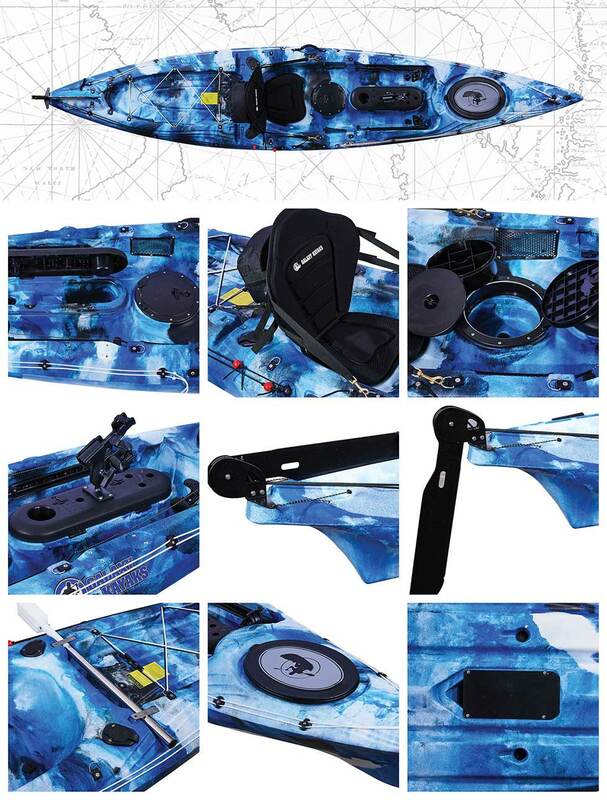 These new lateral inserts are also ideal for the placement of rod holders and fishfinders, depending on your kayak fishing preference. 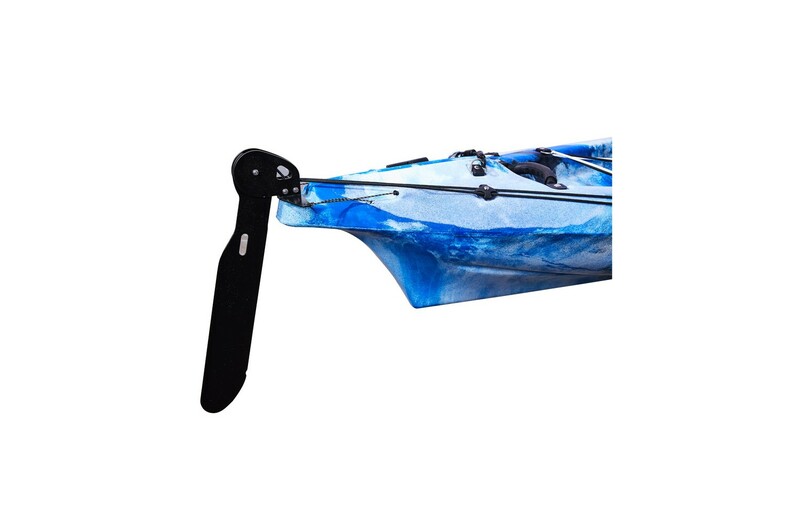 Finally, if you’re interested in sailing on your kayak then these side supports are designed for the attachment of sails and keels when using a kayak sail system like the Vela Eola. The latest model comes with three original Railblaza Starports as standard so that you can begin to accessorise your kayak with ease. 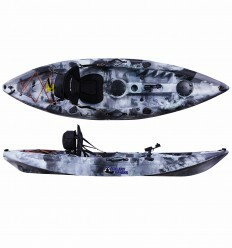 The result is one of Galaxy Kayaks’ premium fishing models that comes with all the necessary equipment to start fishing. 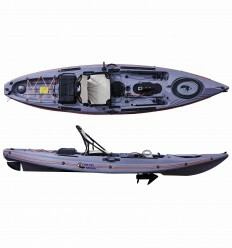 This includes two rear flush mount rod holders and a Railblaza Rod Holder R that allows maximum mobility as standard. 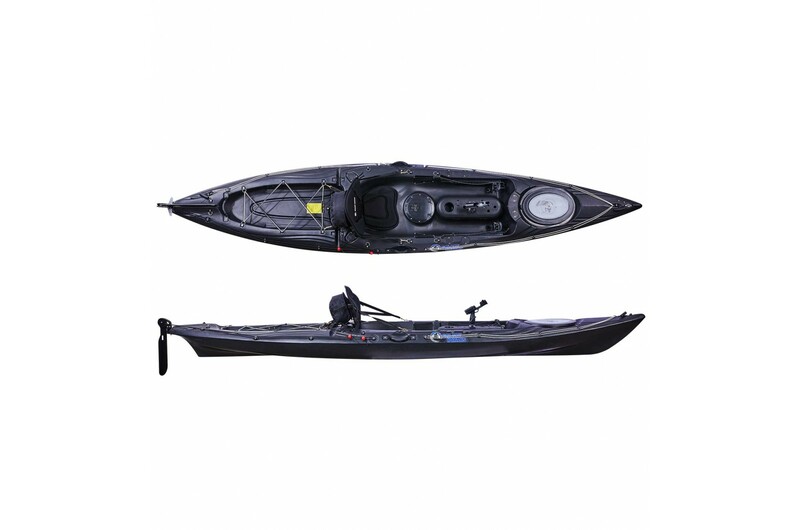 The Galaxy Alborán HV kayak also comes with a tackle box and bait-well found within its three storage compartments. 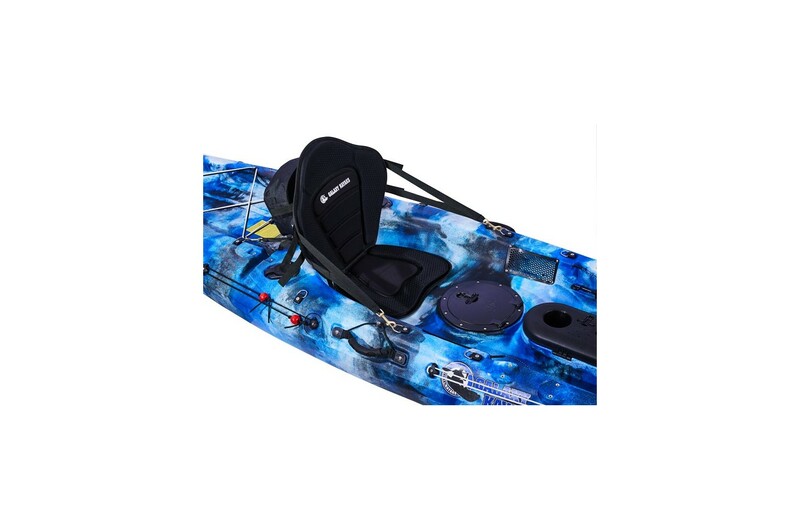 Galaxy Kayaks’ bait-well comes with the option to switch from a wet or dry setup (by selecting the appropriate scupper plug), so you can pursue your favourite fishing style. From jigging to trolling, spinning and live bait, this sit on top kayak allows you to achieve your maximum potential while kayak fishing. 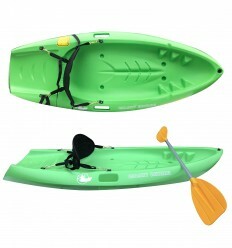 Safety is always important and for that reason our Alborán HV kayak comes with a durable lifeline made of rope. 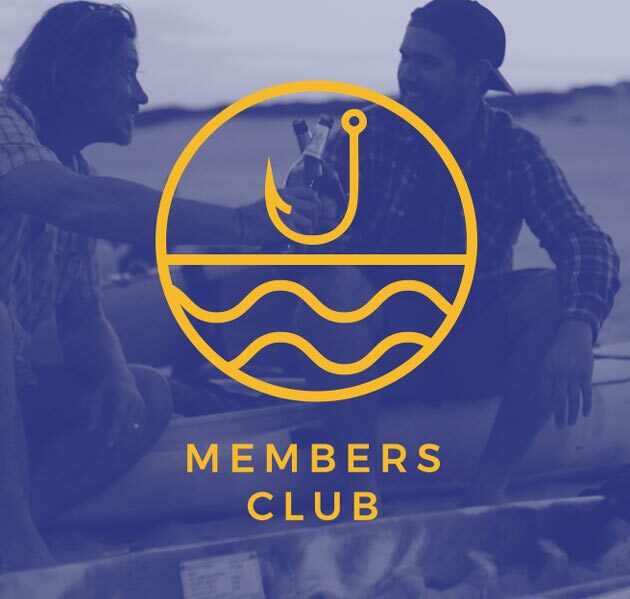 This rope also allows fisherman to connect items to it, and is useful for manoeuvres such as anchor positioning. 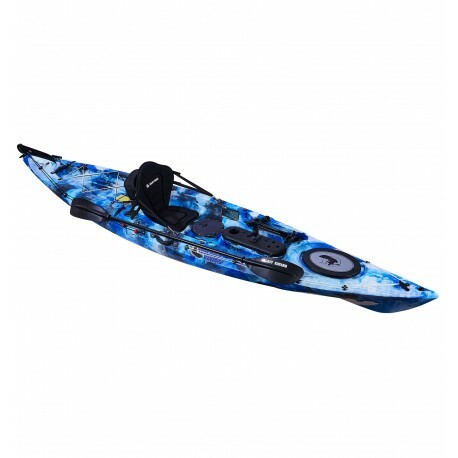 Like all Galaxy Kayaks, the Alborán HV comes with our three year guarantee. This model is also CE certified (Conformité Européenne) and comes with an identification plaque and serial number. 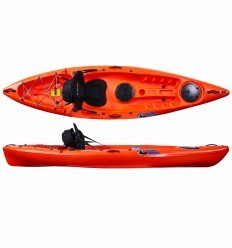 It is fully equipped with various accessories (read below) including a premium seat and a paddle so all you need is a lifejacket, and you are ready for your next adventure! The all new Galaxy HV (High Visibility) Series™ comes with three lifelines and three Bungee cords in various colours. 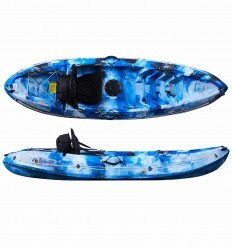 These are intended to make your kayak more visible for added safety on the water. 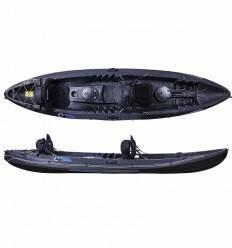 These are included as standard in all kayaks from our new Galaxy HV Series™. They come in Orange, White and Black. 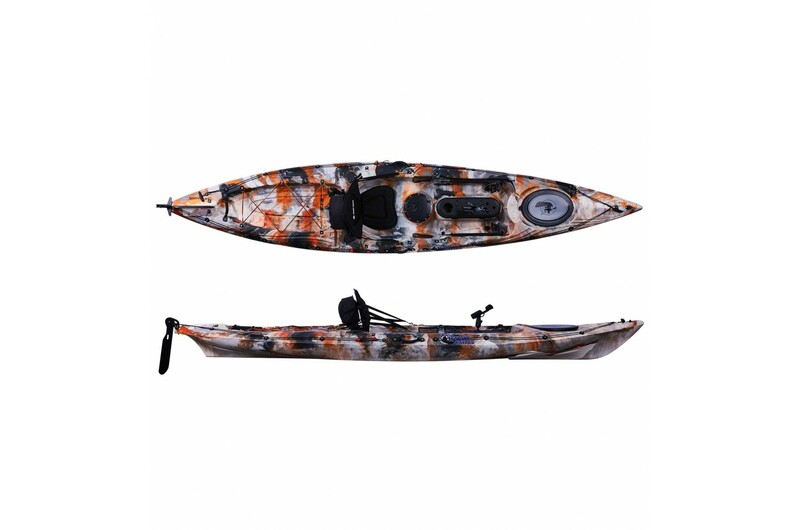 This selection allows you to chose the final look you give your kayak; bright colours gain more visibility on the open water or dark ones camouflage with the shore line of a river - the choice is yours. The Galaxy HV Series™ kayaks also come in a range of new colours to choose from for ultimate visibility to full camouflage mode. 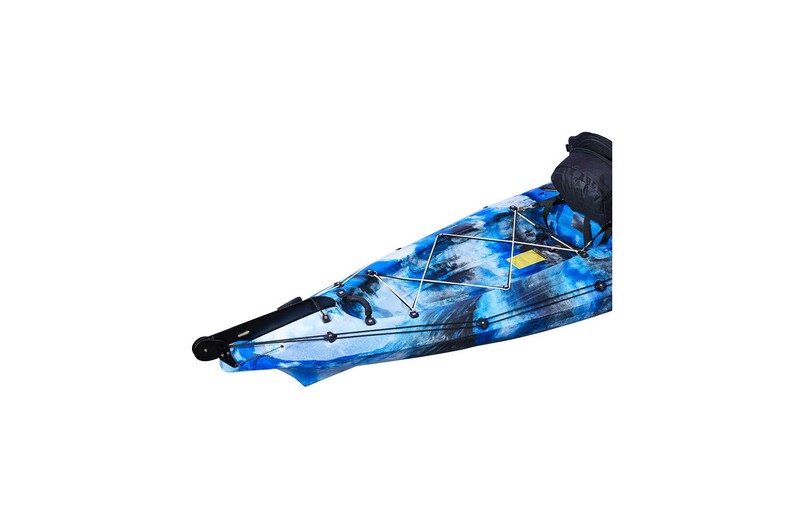 Ensure the added safety of your equipment against all conditions with an optional combination of two or three bungee cords available for the rear storage boot to tie and secure your gear. Whether you are looking for added safety or simply like to have fun on the water chose a truly unique look with the Galaxy HV Series™. OptionalVoyager seat: this special high seat allows you to sit in a higher position which means you get extra protection from onboard water and a much more comfortable ride. 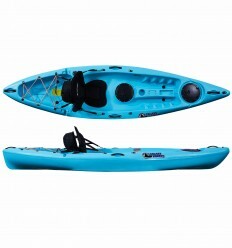 Paddling from a higher position improves your visibility on the water which may help with spotting fish from a distance. 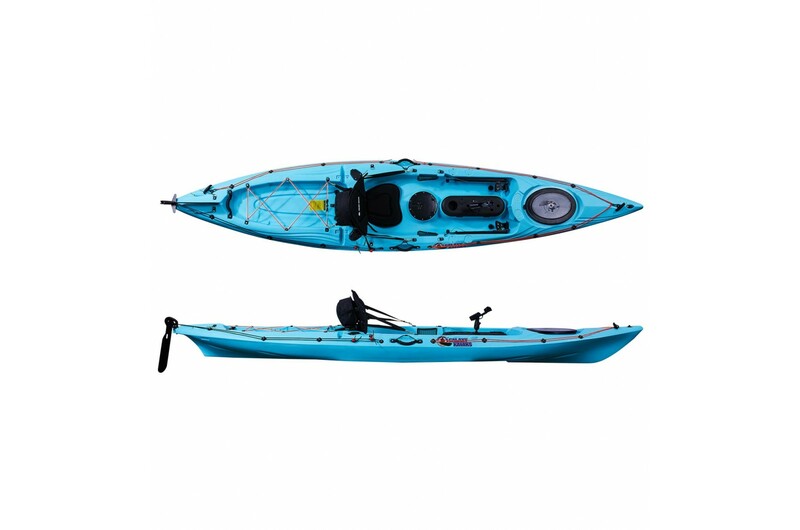 We’ve added extra D-rings to either side of the kayak as well as right in front of the seat to ensure a secure and tight fit between the kayak and the seat. 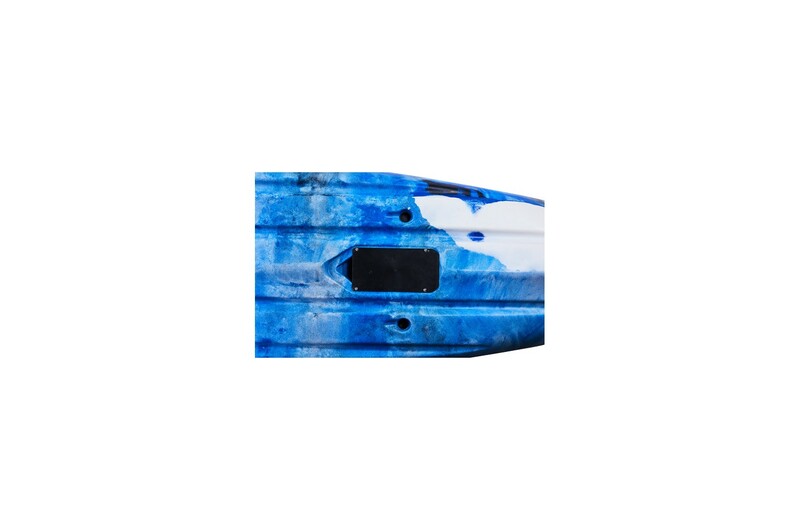 8 copper inserts: for safe and hassle free insertion of accessories into the hull of your kayak such as Railblaza Starports. No drilling into your kayak will be necessary. 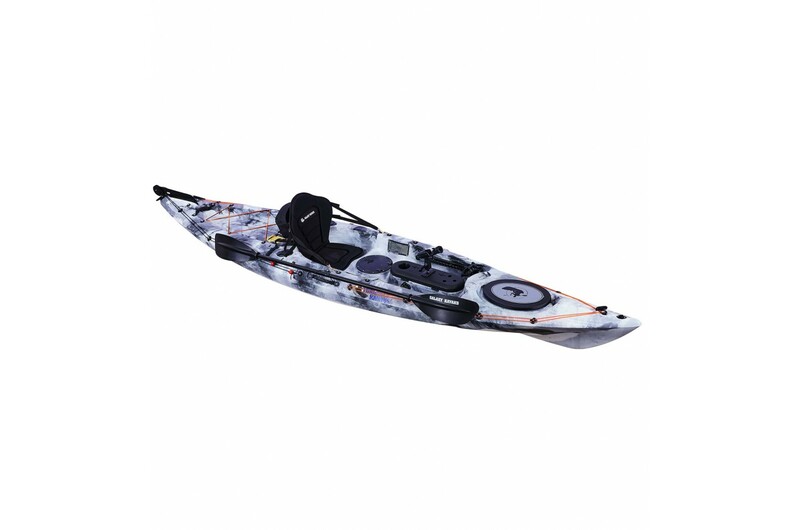 One insert has been placed at the rear of the kayak for the addition of safety equipment like the RailBlaza Flagwhipusing a Sideport. 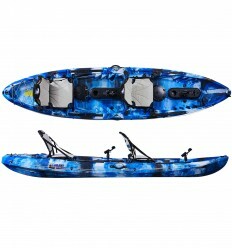 Another insert was placed in the front of the kayak for accessories like the RailBlaza Camera Mount and Camerabooms. 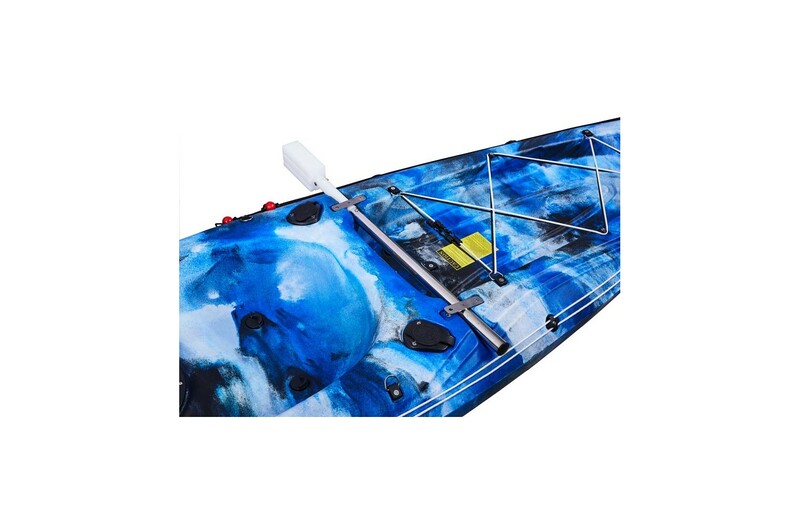 There are two inserts placed on either side of the kayak and directly in front of the paddler for mounting various accessories, such as the Tracport, and especially useful for extra support for those interested in kayak sailing using a sail like the Vela Eola. 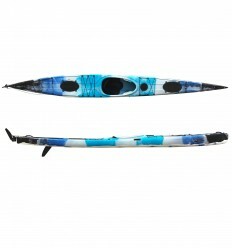 1Railblaza Rod Holder R: Moulded in rugged fibreglass reinforced plastic, with stainless steel fasteners. 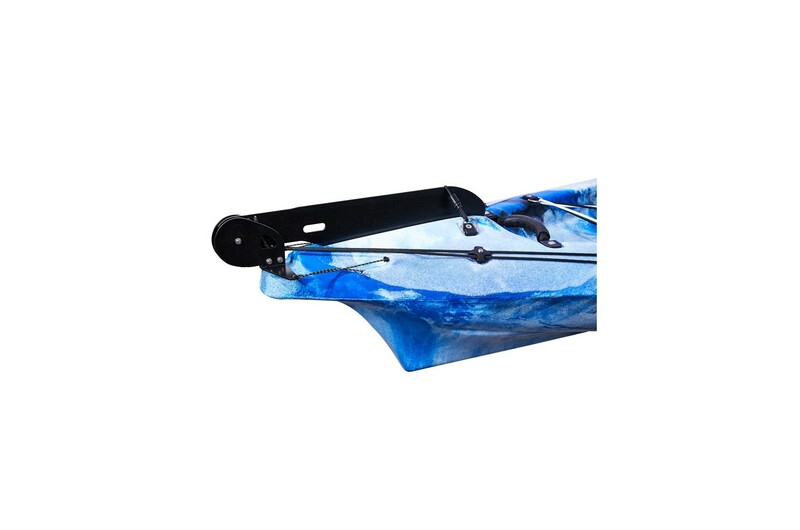 1 drainage plug: now located in the front of the kayak to further improve its ability to completely drain any bilge water that has been absorbed into the hull after use. 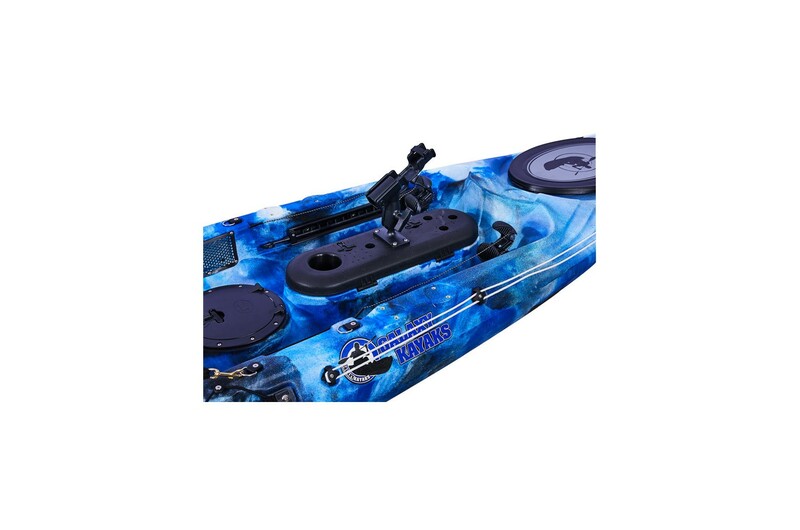 1 central storage hatch: comes with option to use as live bait-well for either a wet or dry setup (just choose whether to use scupper plug) and with hermetic seal. 1 large front storage hatch: for general storage, complete with hermetic seal. 1 rectangular central storage hatch: for smaller items and complete with fish measuring scale on top as well as 4 moulded and hermetic seals. 7 drainage points: located around the kayak, allowing you to choose where to drain water whilst maintaining desired areas dry. 7 scupper plugs: made from high quality rubber. Insert and remove when required for self-drainage system to activate. 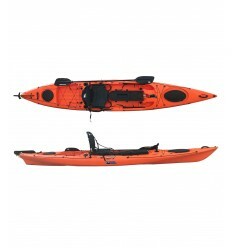 1 moulded anchorage in rear of kayak: for the ability to place an outboard motor. 2 rear screw mounts:to connect accessories such as anchor cleats. 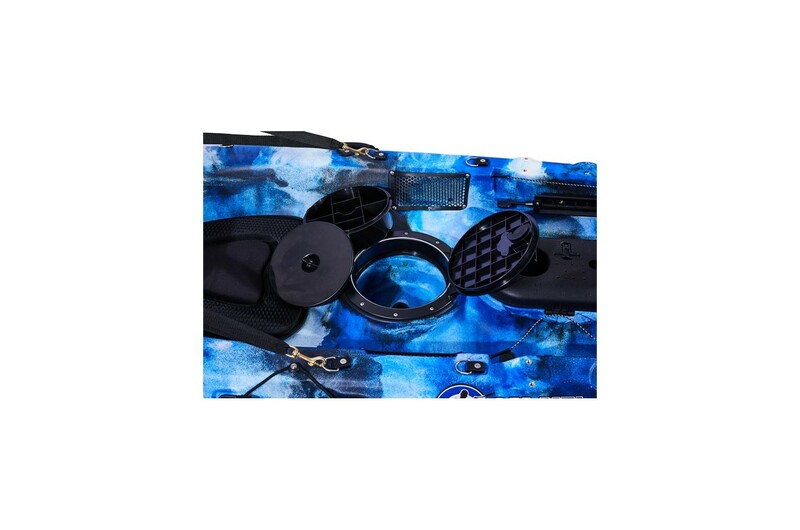 1 moulded drink holder: to carry easy access drinks that keep you hydrated. 8 D rings: for easy clip-on of items such as seats. 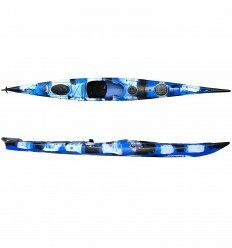 2 moulded foot braces: for comfortable positioning whilst paddling.